Breath Control is a documentary about making music with nothing but the human voice. 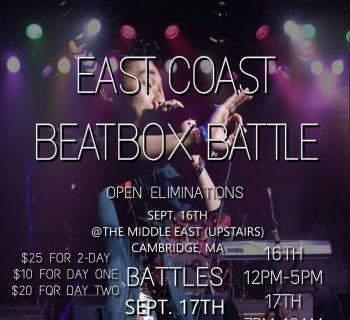 The human beat box is one of the key elements in the development of Hip Hop culture, alongside Dj-ing, Graffiti, Breakdancing, and MC-ing. Unfortunately, its contribution has been largely overlooked, as has the fun, expressive, human, and spontaneous dimension of Hip Hop that it represents. As the first documentary of its kind, Breath Control: The History of the Human Beat Box uses interviews, live performances, archival footage, and animation to bring to light this important and neglected ingredient of Hip Hop's identity . 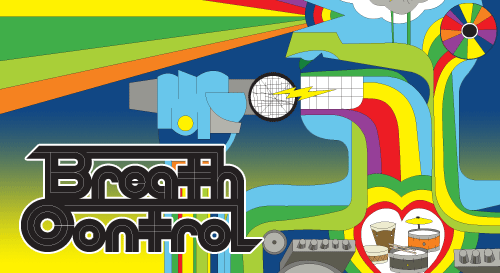 With the help of Beat Box pioneers DOUG E. FRESH, BIZ MARKIE, and THE FAT BOYS, Breath Control traces this art form from it’s basic beat beginnings in the Eighties to it’s present day multi-layered, polyrhythmatic figurehead’s RAHZEL and SCRATCH of the Hip Hop group THE ROOTS. But Breath Control isn’t limited to Hip Hop. Musician ZAP MAMA opens up the idea that human beat boxing is an artform practiced all over the world and has been refined by many different cultures. Breath Control is a half historical, half tutorial look at humans as actual instruments. Emanon, Rahzel, Skratch, Wise, Daddy-o, 4Zone, ShaSha, Click, DOA , Biz Markie, Doug E. Fresh, Radioactive, Posdnuos, Mos Def, Baba, Marie Dulne, Michael Franti, DJ Premier, Kool Rock Ski, Charles Stettler, Curt Robinson, Lord Sear, Professor x, Bobbito, T.J. Swan, Mix Master Mike, Sirround Brown, Black Thought, The Roots, Money Mark, Chris Jung, Doa's moms, Afra, Mr.6, Shaun Roig, Yuri and Air Low. Breath Control has been nominated for Best Documentary Feature at the Tribeca Film Festival (2002) and won two awards; The New York Underground Film Festival (2002) and won Best Documentary at the CineVegas International Film Festival (2002). Breath Control screened on Saturday, May 24th at the Minnesota Museum of American Art as a part of one of their ART HERE events. Ill Chemistry were scheduled to perform prior to the event. “Breath Control” screened at the Museum of Contemporary Art, Chicago on Sunday, April 27 at 3PM as a part of the event, “Hip-Hop Live + Reel.” The film played along side Dave Chapelle’s Block Party among other notable selections. Director Joey Garfield attended and did a Q&A after the show! The film has many fun moments and holds up to today’s audience. The pacing of the film lets you really get a feeling of each interviewee’s personality and what they felt during each moment in history. It’s very evident that the editor had fun editing this film. Parts of long dialog are cut up to create an interesting and entertaining narrative. Sections of the film had animated parts which would have been seen as “cheesy” but are done enjoyably. The film ends somewhat abruptly after a short “shoutout”-like interview with a current (circa 2000) 15 year old beatboxer. Should the film be given a rerelease, we recommend to the production staff to make a montage of sorts with the current worldwide beatbox scene. A screening was held in Brooklyn, New York, during the 9th Annual American Beatbox Championships. The film was well received and had a panel with the Director, Joey Garfield. We would highly recommend this film. We say “would” because the film is currently unavailable on any platform beyond VHS after its first release. The film is excellent and should be on every beatbox history buffs watchlist. Breath Control: A History of the Human Beat Box directed by Joey Garfield. IS A DVD COPY OF THIS FILM IS AVAILABLE? Please advise if I can get the DVD of this film or download this in Japan. Is it possible to get it? DVD, streaming?